The mandala (Sanskrit for circle or completion) has a long history and is recognized for its deep spiritual meaning and representation of wholeness. The very nature of Mandala Making is mindful and relaxing. 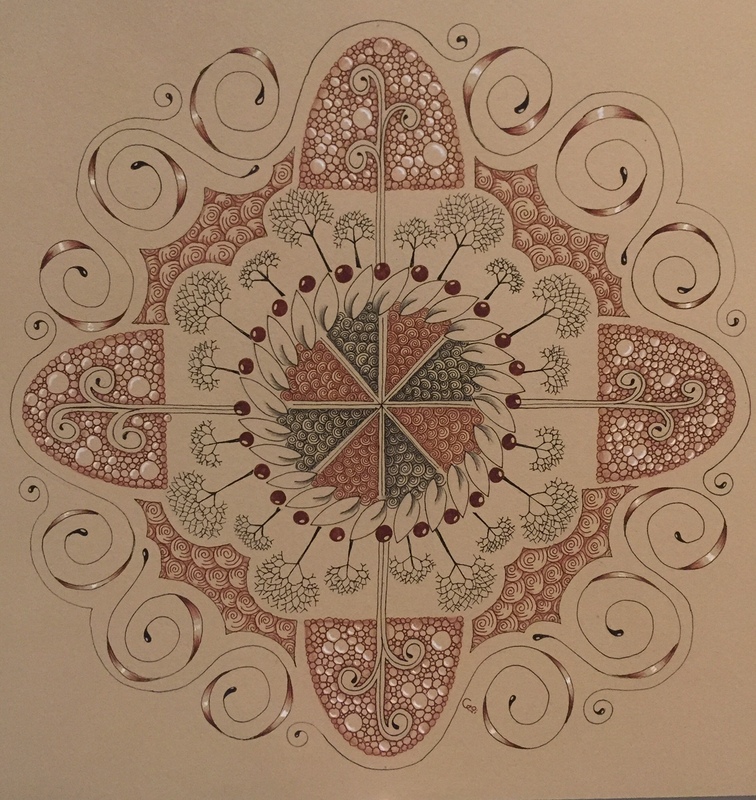 I was given a challenge… of making mandala samples using the 4N1(C) a custom stencil created by Ann Grasso of Ann Grasso Pattern Arts. I was honored, humbled and nervous all at the same time that she invited me to take on the challenge. As I began playing with the stencil, I saw so many opportunities. The stencil is simple but the ability to make complex grids is vast and offered many options to lay down line and create spaces to embellish. Organic and linear tangles (patterns) fit in the nicely also allowing for contrast and color to work in the creative process of making the custom mandalas. 20+ samples were created within a few months time, completely different from each other. My pieces were on display for a national Zentangle teaching conference in Santa Fe, New Mexico. As we all are different, it is reflected in our work as well. Ann’s style is very detailed, disciplined and beautiful! 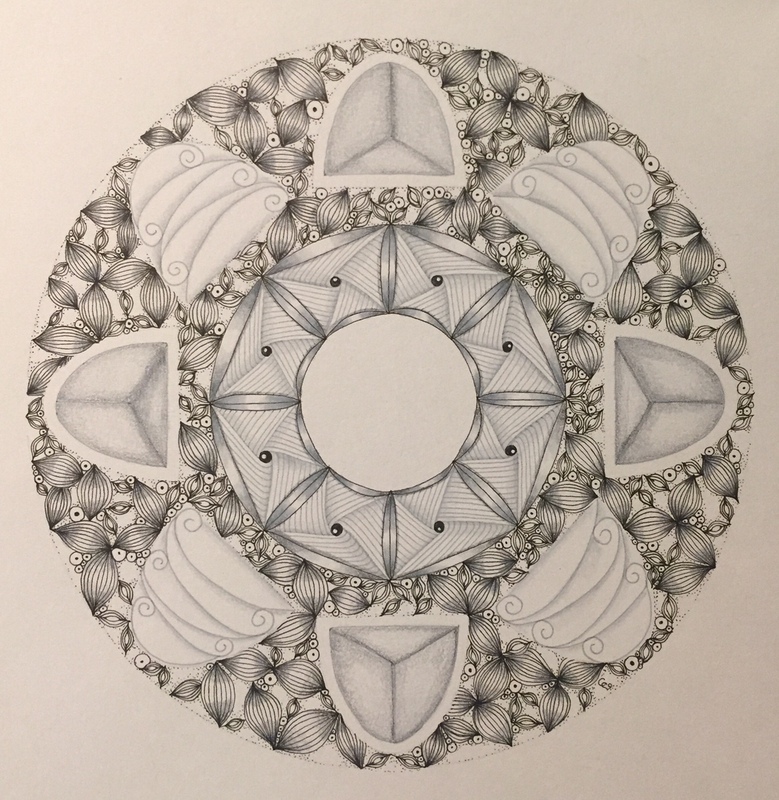 My mandalas have a completely different feel to them. As you can see from the examples. They are from the same stencil! Interested in learning more? Enter the world of Mandala creation, through this class we will explore ways to create mandalas with a specialized stencil called the 4N1©. Zentangle basics is a plus but not necessary for this class. 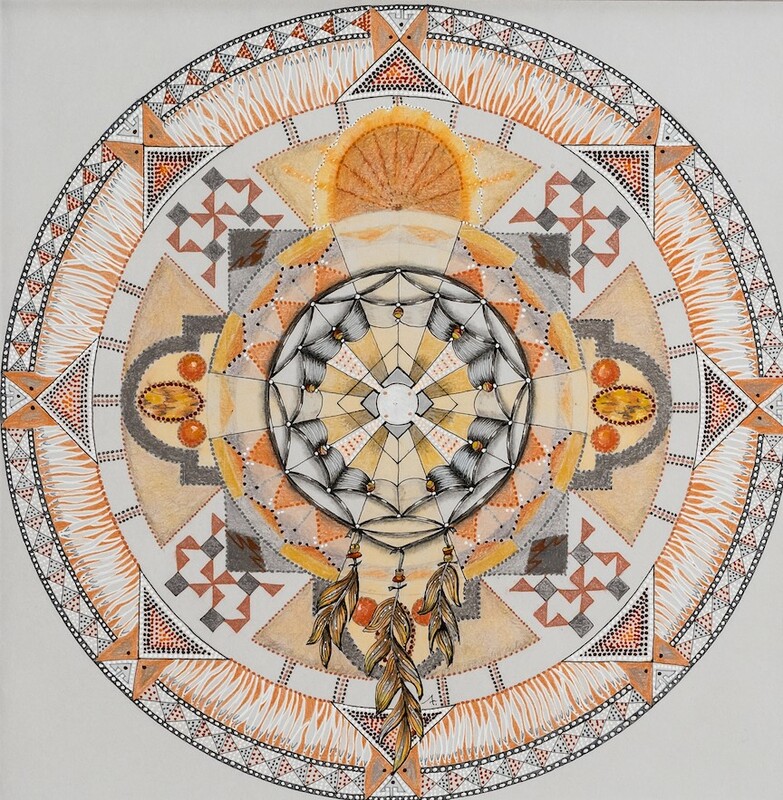 Upcoming Mandala Making workshop information can be found here. Check out the Student Gallery for examples for work completed.